Google announced this week that they will be shuttering and the data will be available on wikidata on June 30, 2015. With all the talk around structured data, entities, and the knowlege graph, I naturally wondered if this signaled anything from those other initiatives. Much of freebase used wikipedia’s data and one of the problems with giving wikidata freebase is that citation requirements did not meed wikipedia’s requirements… it looks like they’re working on getting the new freebase data as it would appear in wikidata to properly attribute the source. I think that this is interesting from a research standpoint to get related articles on a theme. From more of an SEO point of view, for digital sources, this could be used to map neighborhoods for informational queries. 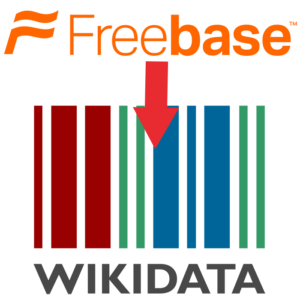 Loading Freebase into Wikidata as-is wouldn’t meet the Wikidata community’s guidelines for citation and sourcing of facts – while a significant portion of the facts in Freebase came from Wikipedia itself, those facts were attributed to Wikipedia and not the actual original non-Wikipedia sources. So we’ll be launching a tool for Wikidata community members to match Freebase assertions to potential citations from either Google Search or our Knowledge Vault, so these individual facts can then be properly loaded to Wikidata. “So what does this mean for the Knowledge Graph? I believe it is a symptom of the Knowledge Graph coming of age as a core feature of the Google infrastructure. They have used Freebase to seed the Knowledge Graph, but now that seed has grow into a young tree fed by the twin sources of Google search logs, and the rich nutrients delivered by Schema.org structured data embedded in millions of pages on the web. Following the analogy, the seed of Freebase, as a standalone project/brand, just doesn’t fit anymore with the core tree of knowledge that Google is creating and building. No coincidence that they’ll ‘announce a transition plan for the Freebase Search API & Suggest Widget to a Knowledge Graph-based solution’.